Drama between Diamond Platnumz and his ex-lover Irene Loius popularly known as Lynn is the latest edition of “who is Diamond smashing?”. They are busy airing each other’s linen in public. But who are we to judge grown-ups who’ve once slept under same duvets? A few days ago, Lynn shared a photo of herself in a bed that resembles Diamond’s, leaving many speculating that she was still involved with the singer. 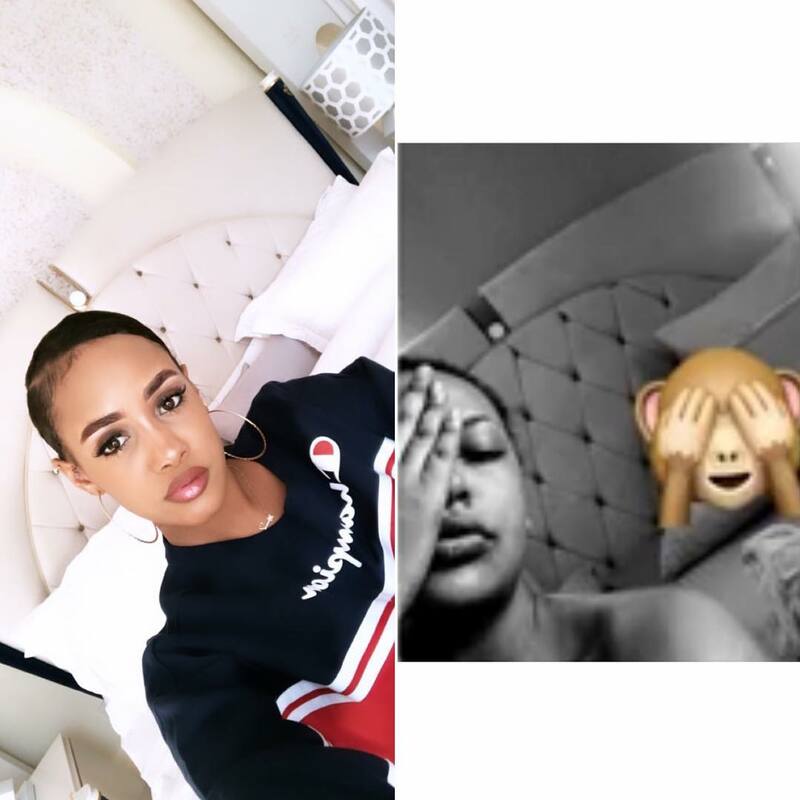 The singer’s current lover Tanasha Donna came out to defend him against the infidelity allegations, telling her followers not to believe what they see or hear on social media. 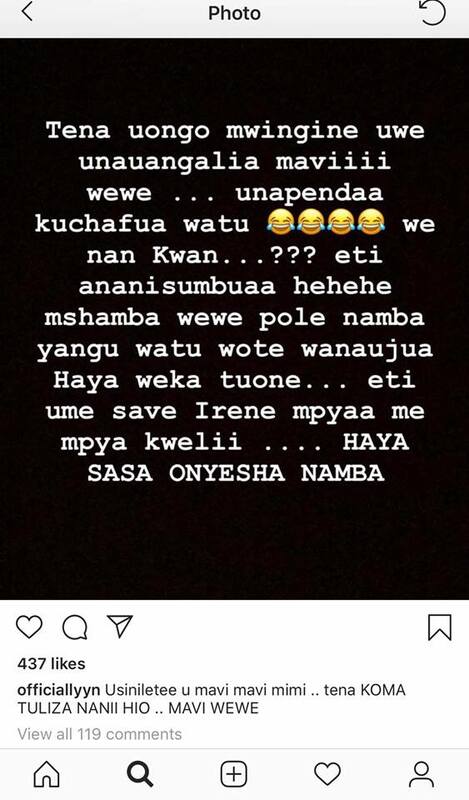 Namheshimu mke wangu…hivvyo nisingependa anione labda namcheat au namvunjia heshima. mimi sitengenez chat… mimi napost video. Sasa kama unaweza post acha namba watu waione mzee baba naona presha imepanda. So as you’ve all heard the rumours going round most of you believe is true. 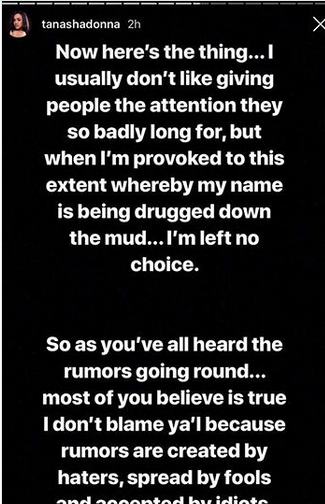 I don’t blame y’all because rumours are created by haters, spread by fools and accepted by idiots. This is not the first time Lynn has been linked to Diamond. 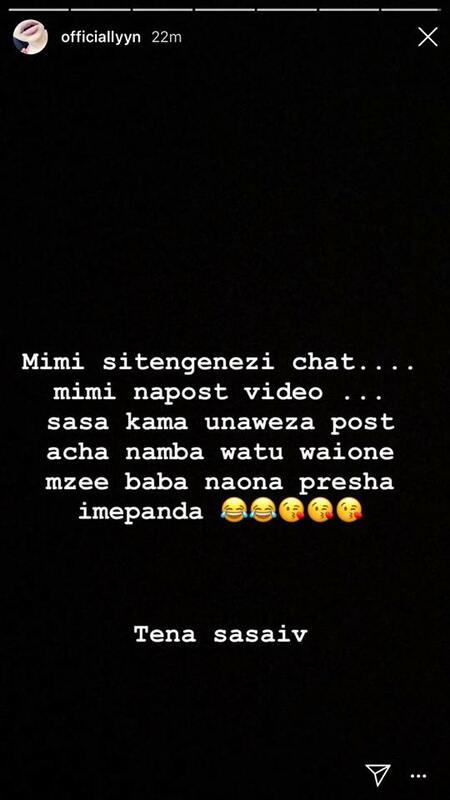 In 2016, word went viral that the video vixen was dating Diamond Platnumz when he was with Zari.